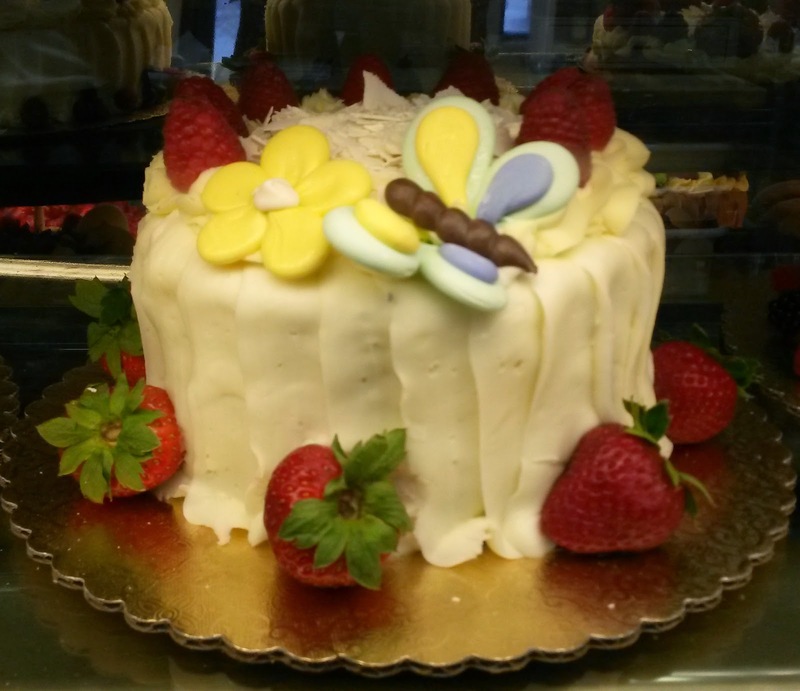 Bread Basket Bakery is well-known in Ventura County, from wedding cakes, birthday cakes and any occasion cakes. This is because they use fresh fruits such as blueberries, strawberries, blackberries, and raspberries in the middle layer of filling and on top of the cake. They do have sandwiches, breads and pastries. The Bread Basket has been voted Ventura County’s Best Bakery for more than 10 years, and was invited to create pastries for Bon Appetite, Taste of Los Angeles and Wolfgang Puck’s American Wine and Food Festival. Highlighted in Modern Bride, Westlake Magazine, Inside Weddings and Los Angeles Times. We have purchased The Bread Basket birthday cakes for our family and friends’ parties and they are delicious, moist and not so sweat. You’ll never go wrong with all their products, cakes, bread, cookies and other baked goodies. Now choose your own cake flavor. Icing and wraps: Vanilla buttercream; French whipped cream; Chocolate whipped cream; Fudge; Guittard white chocolate wrap, Dark chocolate wrap and Fondant wrap. On top of the cake who can choose your shavings, chocolate or white chocolate or combination. Bread Basket Cakes are Amazingly Delicious!